I can’t say that I ever had the pleasure of meeting Christopher Hitchens while he was alive. I knew him through his articles in Vanity Fair and Slate, through his books, and through his interviews and debates. However, this very traditional author/reader relationship did nothing to mitigate the profound influence that this man had on my life. Hitchens appeared on my radar shortly after I finished graduate school. At age 24, I had spent my entire adult life inside the walls of a university. Utterly unprepared for the “experience required” nature of the working world, I had just taken a job at a third rate call center just so I could afford to eat while I figured out what to do with my life. Let that be a lesson for anybody in university reading these words: when an extraordinarily wealthy friend that you meet in grad school offers you a job, don’t let pride get in the way of accepting a decent start in the working world. Failing that, go teach English in Southeast Asia. For most people who worked at the call centre, university was an abstract idea or a place they had dropped out of. Chuffed up on my own sense of self importance, I was slow to make friends. Hitchens’ weekly essay on Slate.com became a welcome lifeline of critical thought in a world that fast became shrouded in what I perceived to be the banalities of life in the service sector. I admired the man for the power of his words and the depth of his convictions. I didn’t always agree with everything he said; often times I would dismiss some piece of his writing as the self-righteous prattle of an angry kook who hated the world and everything in it. Still, he was a man of conviction who had little time for those who supported what he saw as the world’s great fallacies. In spite of what others thought, ‘Hitch never flinched. I don’t think there’s a twice convocated but utterly insecure twenty-four year old who wouldn’t admire that sort of dedication to principle. After spending the better part of a year as a “supervisor” (another pro tip, asking for a supervisor when you talk to a person at a call center does NOT get you a supervisor. It gets you sent to a North American based “supervisor escalation” team.) for Verizon technical support, I decided to quit. I had two job offers on the table for the coming September and I saw no reason to endure a July and August filled with Southerners who wanted to complain about the fact that their frontline tech support was based out of the Philippines. During what I now call my Bruce Wayne summer, a period in my life where I had money but no job, I took to writing. In my writing, I attempted to emulate my new found hero, Christopher Hitchens. Twice a week for nearly two years, I wrote a thousand words on topics ranging from civility at the gas pump to proposals for mixed member proportional representation in the Ontario legislature. For a time, it was fun. Then the reality of putting my name, my real name, to very pointed and often controversial standpoints became apparent. I’ll spare my current readers any of the gory details except to mention a couple of important lessons I learned in those days. The first is that if a person is going to be turgid and inflexible, then they truly have to not care about what people think about them. One quick example comes to mind: I thought I could write about atheism with the same sort of vitriol that ‘Hitch used. Humility aside, I was good at it and I reveled in it. However, I never stopped to appreciate that when the majority of my readers were either immediate friends or friends of friends, some of them were going to get very pissed off when the things I pissed on, even if I did so in a logical and philosophically sound manner, were connected to what they believe at a fundamental level. When asked, “why would you say such a thing knowing how I feel about it?” I would answer with, “because I can.” In my convoluted and supremely arrogant Hitchensesque mindset, that was as good an answer as that question deserved. Reflecting on those two years, I think that particular phase of my intellectual growth speaks more about the quality of my friends, as well as their endless patience, than it does any topical rant or piss and vinegar podcast that I produced. It’s funny, really. 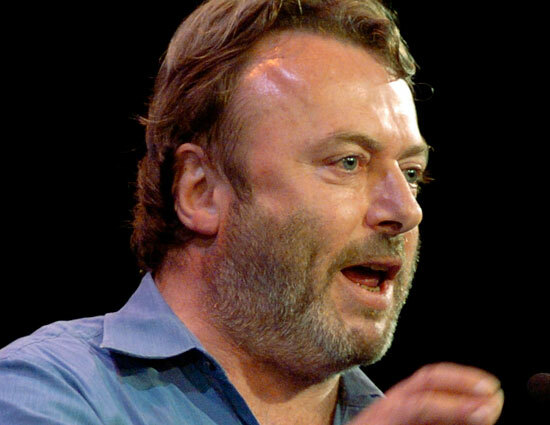 Trying to be like Hitchens taught me the value of compromise, the importance of moderation, and that infamy isn’t nearly as fun as it might look. Since recognizing the flaws of attempting to be a polemicist, I’ve found a greater level of success with my writing. In the end, the best lesson I learned from the late Christopher Hitchens had nothing to do with Iraq, institutional religion, or America. It’s the knowledge that that Highlander was right; there can be only one. 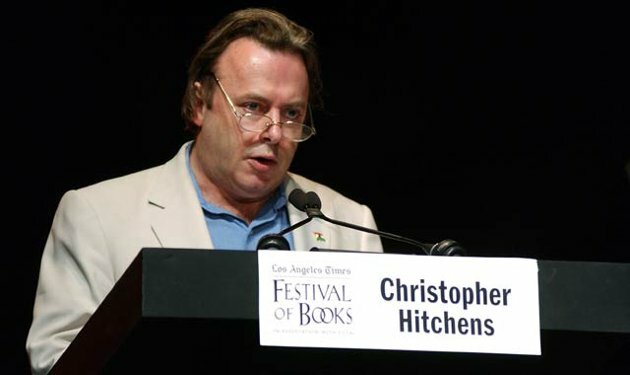 Once that revelation dawned upon me, that the world didn’t need two Hitchens, I was free to develop my own critical voice. Thanks ‘Hitch. You will be missed.